The least we could forego when Christmas comes is shopping! In time for the season of giving, Pinoy pride can still work up a plight for people looking for quality, affordable yet unique and world-class products. I do accept the fact that we are in trying times and its better to be frugal, but I could not also put a price to the gifts I'm to give my loved ones. It's been years that I have relied buying gifts to friends and my kids here and I'm looking forward to new products that I could spend my money with, to be held on November 23-24 at the Rockwell Tent, which I;m sure would be all worth every penny. Why do I go to to Global Pinoy Bazaar all these years? In Global Pinoy Bazaar 2013, Yabang Pinoy showcases up-and-coming Filipino brands that represent the best of the best. As the pioneering Filipino pride movement, Yabang Pinoy is passionate in promoting Filipino talent, people, and society. Since 2006, it has organized the Global Pinoy Bazaar to bring Filipino brands, both big and small, to Filipinos around the Philippines and contribute to a proud, positive, and progressive Philippines. 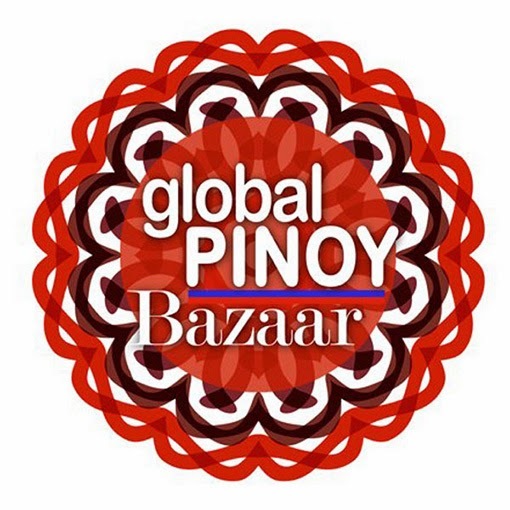 Global Pinoy Bazaar has been proof that the Filipino entrepreneur can produce business concepts, products, and services that can compete with global brands. It has also effectively connected proudly Filipino brands with Filipino consumers, who are now more conscious of where they spend their peso. They choose Filipino from a line up that ranges from apparel, accessories, travel essentials, to home décor, home and wellness products, and Filipino art and design creations. Ultimately, what has made the Global Pinoy Bazaar successful is the open community of entrepreneurs and consumers it has attracted. It has been the venue where conscious choices and creative minds discover each other and spring collaborations and partnerships. In nurturing and empowering the local entrepreneurs, this community develops globally competitive Filipino brands. This year is no different. Global Pinoy Bazaar 2013 will demonstrate that Filipino brands, unique and of quality, deserve all the patronage from the local consumer. By showcasing globally competitive Filipino brands, Yabang Pinoy strives to change the Filipino’s mindset that only foreign brands have global standards. The Filipino brand is globally competitive, and should be supported by the local and global community. This year, Yabang Pinoy will once again prove why the Global Pinoy Bazaar has become the go-to bazaar for unique quality products made with 100% Filipino love and pride. Please visit www.yabangpinoy.com for more information. For inquiries, please call 0917-611-5624 or email bazaar.globalpinoy@gmail.com. Now here is a treat for all you my dear readers and followers. Yabang Pinoy have been so kind to us that we were given 20 FREE passes. I'm giving everyone until Saturday Nov. 16 for this. Just comment below why you want to get in the Global Pinoy Bazaar. Include your full name, e-mail address, FB account and cell phone number. "Let us join @Gastronomy-all about food and @YabangPinoy at the Global Pinoy Bazaar 2013 at Rockwell Tent @Friend1 @Friend2 @Friend3."